Super Savings Item! Free Shipping Included! 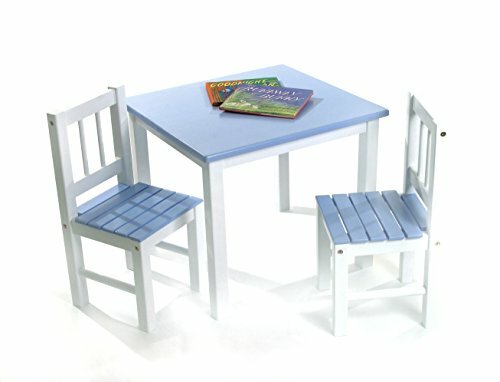 Save 33% on the Lipper International 513BL Child's Table and 2 Chairs, Blue and White by Lipper International at Indsight. MPN: 513BL. Hurry! Limited time offer. Offer valid only while supplies last. Dimensions: Table (W x D x H): 22" x 20 1/2" x 18 3/4" ; Chair (W x D x H): 10 1/2" x 10 3/4" x 22 7/8" (each); Chair floor to seat: 10 3/4"